Sundance is a sweet and mellow guy. He is cool, calm and collected for his age! He is barefoot and UTD on everything. Bathes/loads/ties. Good for the farrier and vet. 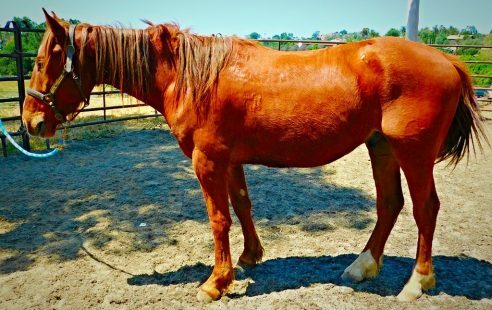 He came to Blue Apple Ranch with his friend Cassidy, they were both feral horses running in Ramona. Sundance has really taken to his new lifestyle as a domestic horse and loves the attention! Sundance has about 60 days training so far with Mike Pellkofer. 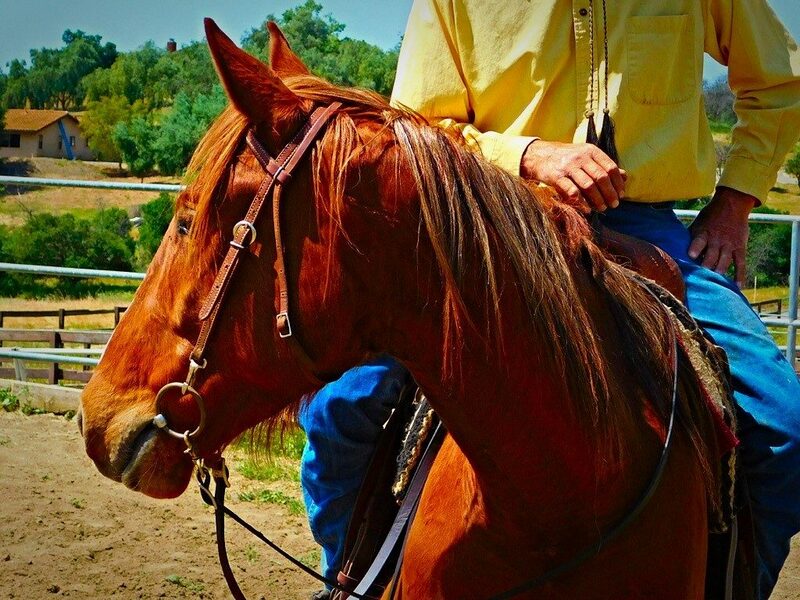 He has been started under saddle and has been ridden western. He knows how to walk, trot, canter, stop, back up and move off of leg. 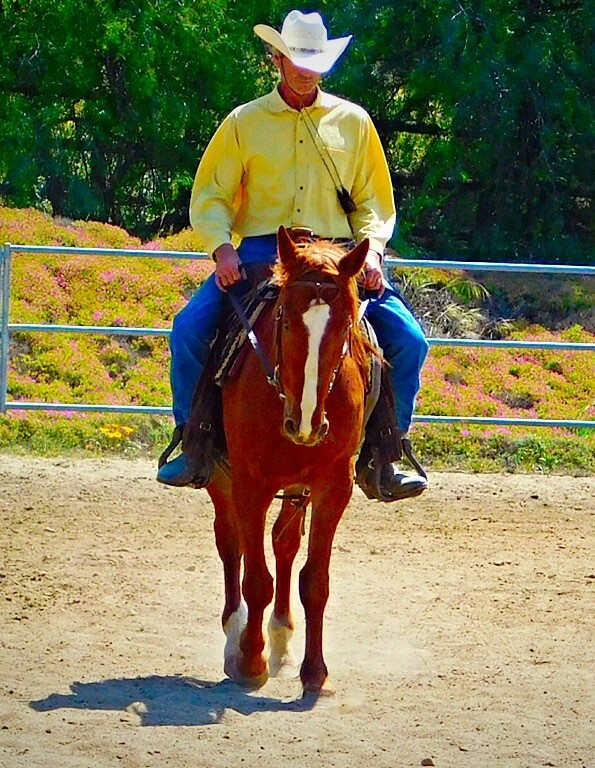 He has been ridden on trail by himself and with others. He does really well and is not spooky. 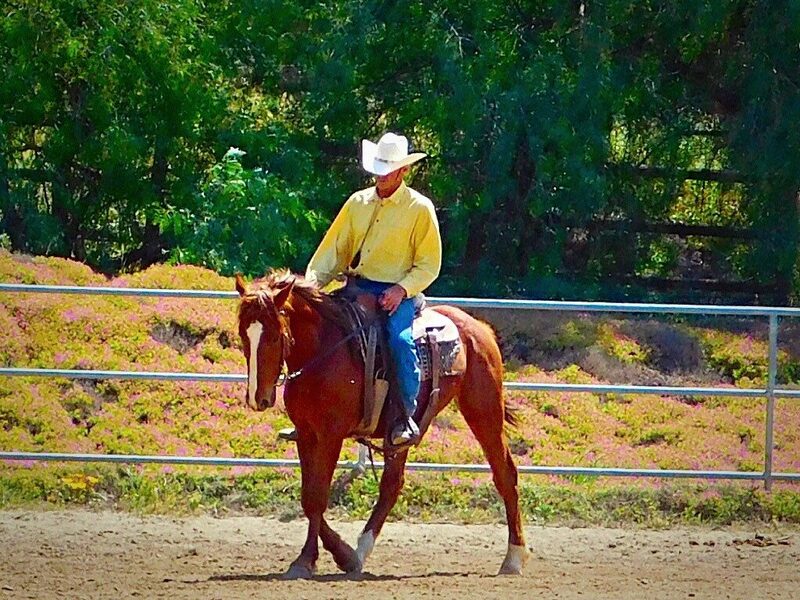 He is still very green under saddle and will be staying in training until he is ready to be adopted!